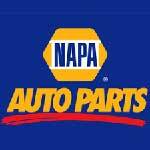 Complete tire service for your car or truck. Properly inflated tires will get better gas mileage. Pressure - Underinflation results in unnecessary tire stress, irregular wear, loss of control and accidents. A tire can lose up to half of its air pressure and not appear to be flat! Rotation - Regularly rotating your vehicle's tires will help you achieve more uniform wear. Unless your vehicle's owners manual has a specific recommendation, the guideline for tire rotation is approximately every 6,000 miles. Refer to your vehicle's owners manual for the proper level of inflation; it may also be posted on the door post or in the glove box. Repeat with each tire, including the spare (Note: Some spare tires require higher inflation pressure). Each tire on your car supports a different amount of weight; this unequal weight distribution causes your tires to wear at different rates. By rotating your tires, you can extend their useful life. Sometimes front and rear tires use different pressures. After rotation, adjust individual tire air pressure to the figures recommended for each wheel position by the vehicle manufacturer. 1. Take a penny and put Abe's head into one of the grooves of the tire tread. If part of his head is covered by the tread, you're driving with the legal amount of tread. 2. If you can see all of Abe's head, it's time to replace the tire. Visually check your tires for signs of uneven wear. 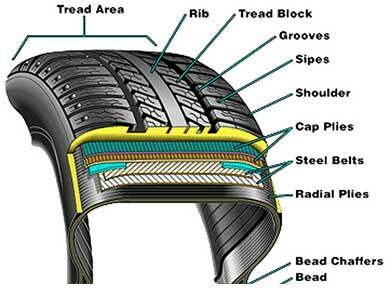 You may have irregular tread wear if there are high and low areas or unusually smooth areas. Also make sure no nails or other objects are embedded in the tire. Consult your tire dealer as soon as possible if you see problems. What are your tires age? It is recommended to replace tires older than 7 years. Go here to tell how old your tires are. Hold on to your sales receipts. Most tire manufacturer's warranties cover their tires for four years from the date of purchase, or five years from the week the tires were manufactured. If properly cared for, tires can last a long time - usually from 40,000 to 80,000 miles, depending on the application. SMOG is automatically loaded onto DMV but takes a couple hours to process. I was able to go to breakfast and register my car with their new kiosk in less than 15 minutes.